The relatively cheaper cost of electricity from Côte d’Ivoire is the reason Ghana continues to import power from that country, sources have said. 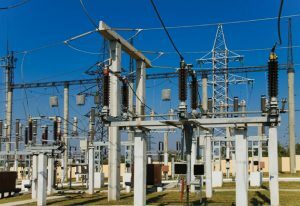 As at 5pm yesterday, figures from Ghana Grid Company (GRIDCo) revealed that Ghana was importing 185megawatts of power from Côte d’Ivoire while thermal power plants idle in Ghana. According to the electricity sector players, Côte d’Ivoire generates thermal power at the cost of 9 cents per kilowatt hour and sells it to Ghana for 11 cents while thermal plants in Ghana sell their power from 14 cents and above. Industry players, who do not want to be named, told The Finder that it makes sense for Ghana to import from Côte d’Ivoire at this time because that country is now relying more on electricity from hydro sources as this is they are in the rainy season and the power is relatively cheaper. In their view, the thermal power, which is available during this season, may not be available when the rains stop in Côte d’Ivoire. Engineers believe that buying power from Côte d’Ivoire and operating fewer turbines would make room for the water level to rise to appreciable levels before it starts dropping. This, they say, would be useful when Côte d’Ivoire can no longer supply Ghana during the dry season.